Food, food, food. And alcohol, my favourite thing. Is it yours? There was certainly lots of it at the Foodies festival in Birmingham last Sunday. 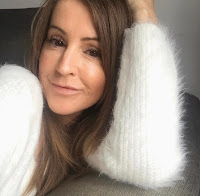 I was a guest of Vita Coco and the lovely Emma who writes over at Carpe Diem Emmie and we couldn't have asked for a better day to go around stuffing our faces, it was HOT. Well done UK, you got it right for once. Although I think that's it and we've probably said goodbye to summer! I'd not been to a large food festival before so was quite excited at the prospect of free food and drink. Who wouldn't be? All the food and drink wasn't free, by that I actually mean lots of free tasters. The minute Emma and I were through the gates we headed straight to the Gin horse box for a Sloe gin and prosecco. We have no shame. Look, it was 12.30pm okay?! After that we took two steps to the right and picked up some tasters of Old Mout cider. I'm not usually a drinker of flavoured ciders but hey, I'll have anything when it's free and it was actually really delicious and refreshing, especially in the heat we were experiencing that day! I think the passionfruit & apple was the winner for me. Every which way you turned there were tasters of food and drink from around the globe. The Foodies festival is in its 11th year and is one of the biggest in the UK, touring up and down the country, it's an absolute foodies paradise. Even Levi Roots wanted in on the act. The Birmingham festival was held in Cannons Hill park and it covered huge area. Emma and I didn't know where to go first, well, actually I lie, we knew where to go the minute we walked in, the Gin box, but after that we were spoilt for choice. We decided to take a full walk around and then decide what we wanted to buy for lunch. A glass of rosé in the summer sunshine, that'll do nicely thank you. Yes, that is a Spam can. Wasn't inundated with customers though sadly. I'm not a Spam fan but Emma most definitely is. ∧ The beautiful Emma soaking up the summer sunshine. Before you ask, yes she did burn, I on the other hand had a long sleeved dress on so was fine. She paid for it that night by all accounts. Ouch. When coffee met Baileys. Frankly I could have sat here all day drinking coffee laced with my favourite tipple. I'm a huge fan of Masterchef (still can't cook any better even after watching for years) and we managed to get seats when Tony Rodd, Masterchef finalist, was doing his cooking demo accompanied by the wonderful Dhruv. Once they'd finished the audience were then invited up take pictures and have a chat. They were so lovely and friendly and yes I managed to get a selfie. 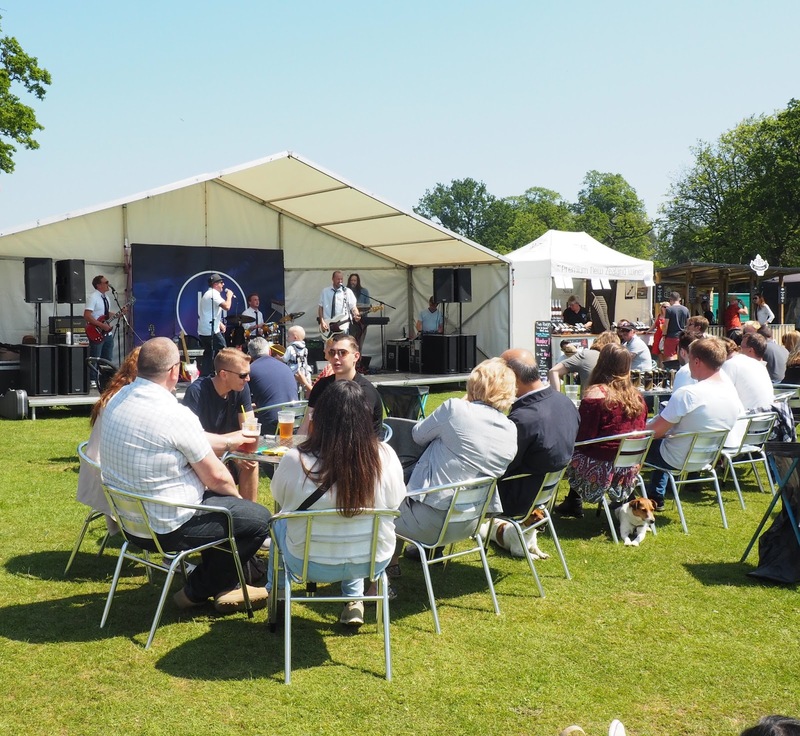 There was so much going on at the festival from the street food avenue, to learning to bake in the cake and bake theatre to the vintage tea tent. They even had a children's cookery theatre and play area to keep the littlies happy! They literally had something for everyone. 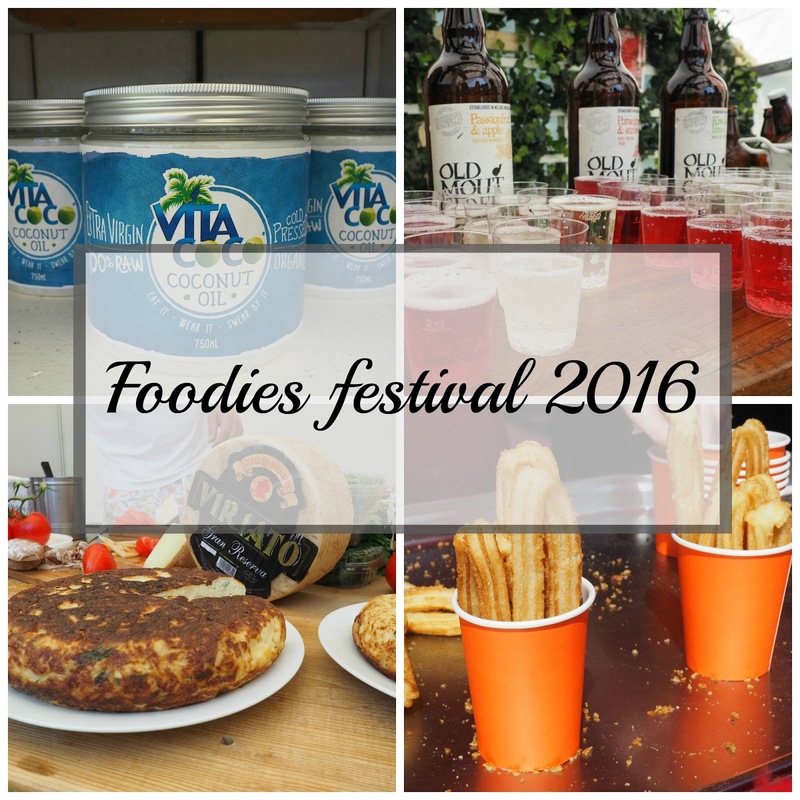 The Foodies festival is a fun day out and definitely well worth a visit. You'll find the website here with all the details of where they're visiting next. It was great to get together with Emma and I really enjoyed the day, eating, drinking, laughing and chatting, all done under beautiful blue skies. Thanks for the mention of my sunburn ;) can't believe how bad it turned out to be, that'll teach me! Thanks for being such an awesome guest lovely, I really enjoyed spending the day with you! Looks like a fab day! Mouth is watering now! !